River tours are something special. 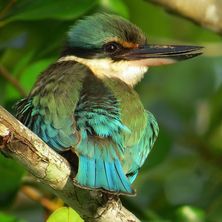 Float along the rivers of the Daintree or the experience the expanses of vast flood plains or any of the smaller creeks and tributaries and all the while taking in the vast beauty of Australias waterways and it's magnificent wildlife that live in and along those waterways. Australia has so many fantastic locations to see and explore! River Tours are a peaceful and also exciting way to experience magnificent river waterways. Tours are a great way to travel – and the tour guides have incredible and specialised knowledge of the areas they work in and of the local wildlife. They can get you into places that you may not be able to access yourself. Vessels are often be specialised for their areas and for the benefit of wildlife. The list of benefits of going on an wildlife tour is endless – check out the tours on Wild Wonders and book in your next wildlife adventure today!